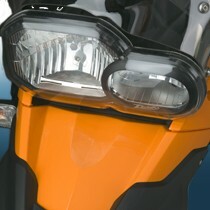 ZTechnik Headlight Guards perfectly match the contours of your bike's headlight. 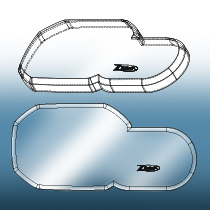 They're thermoformed to wrap around the headlight frame cover and are attached using marine-grade Velcro®. These Headlight Guards virtually disappear when installed! Formed from tough 3mm polycarbonate with ZTechnik's exclusive Quantum® hardcoating for 10X more strength and 30X more scratch resistance than fragile acrylic guards. Why trust your expensive headlight assembly to anything less? * For OEM standard headlight. ** For OEM LED headlight. ZTechnik Headlight Guards perfectly match the contours of your bike's headlight. 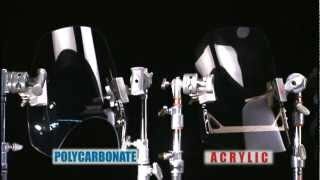 They're thermoformed to wrap around the headlight frame cover and are attached using marine-grade Velcro®. No Velcro on the headlight lens! Crystal clear optics will not distort or reduce the light beam. These Headlight Guards virtually disappear when installed! Formed from tough 3mm polycarbonate with ZTechnik's exclusive Quantum® hardcoating for 10X more strength and 30X more scratch resistance than fragile acrylic guards. Protect your headlight with a hardcoated polycarbonate Headlight Guard from ZTechnik. Why trust your expensive headlight assembly to anything less? All ZTechnik® Headlight Guards are made from durable polycarbonate with our exclusive Quantum® hardcoating. These are the best quality Headlight Guards you can get, with excellent optical clarity, unbeatable strength and unsurpassed scratch resistance. 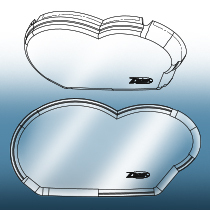 Our Headlight Guards are dimensionally thermoformed rather than flat formed for a perfect, customized fit. You won't find a better Headlight Guard than this! Like our polycarbonate windscreens, ZTechnik Headlight Guards are covered by our 3-Year Warranty against breakage!